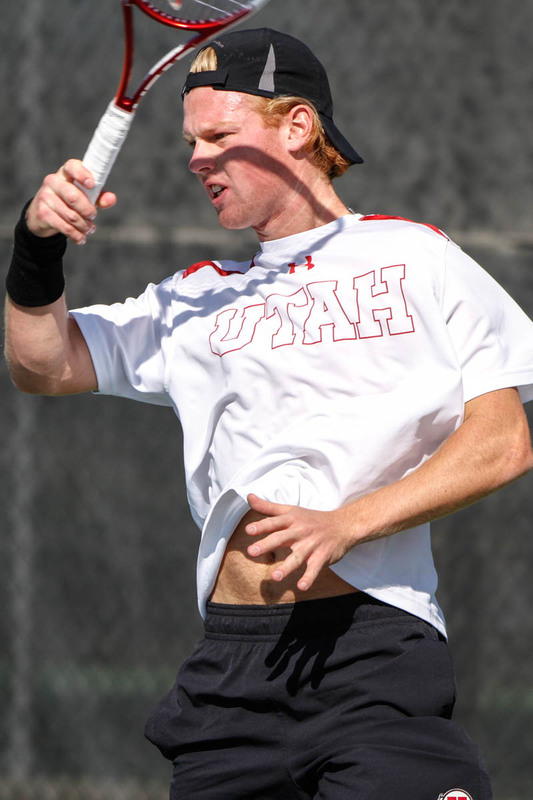 Salt Lake City – The 52nd ranked University of Utah men’s tennis team (12-5, 0-2) fell to 16th ranked California(12-3, 2-0), 4-2, Sunday at the Eccles Tennis Center in a closely contested match. The Utes started the match excelling in doubles play. Utah’s Slim Hamza and Cedric Willems knocked off No. 67 ranked McLachlan/Goransson, 8-4. Alejandro Medinilla and Matt Cowley sealed the doubles point for the Ute’s after defeating Bayane and Houghton, 8-6. Cedric Willems put the Utes up 2-0 after winning over Andre Goranasson 6-2, 6-4 at the #4 singles position. No. 70 Ben McLachlan of Cal edged Slim Hamza 6-3, 7-6(7) at the #1 position to give the Bears their first point. Despite winning the first set at #2, #3, and #6 singles positions, the Ute’s ultimately lost those points to Cal, clinching the match at 4-2 for the Bears. Utah hits the road next weekend and will face No. 27 Oregon and Washington in Pac-12 play. This entry was posted in Schedule/Results and tagged Alejandro Medinilla, Ben Tasevac, California, Cedric Willems, Devin Lane, FD Robbins, Matt Cowley, Pac-12, Roeland Brateanu, Slim Hamza, Utah Utes. Bookmark the permalink.